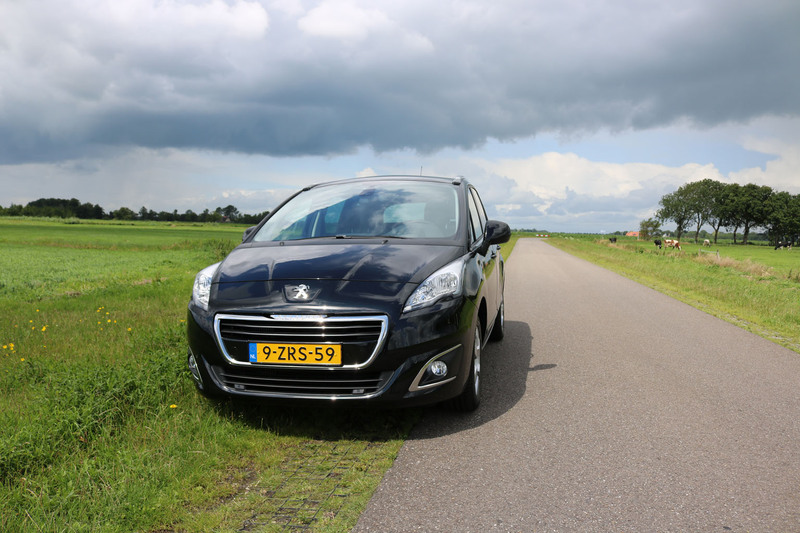 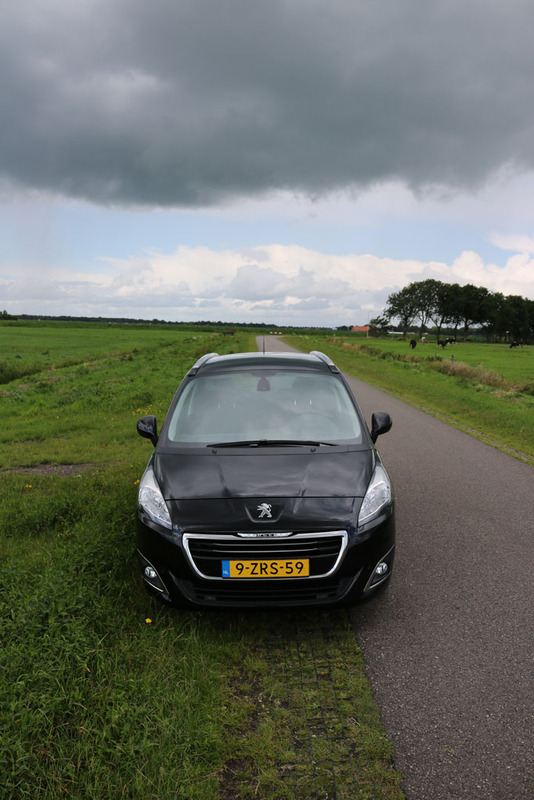 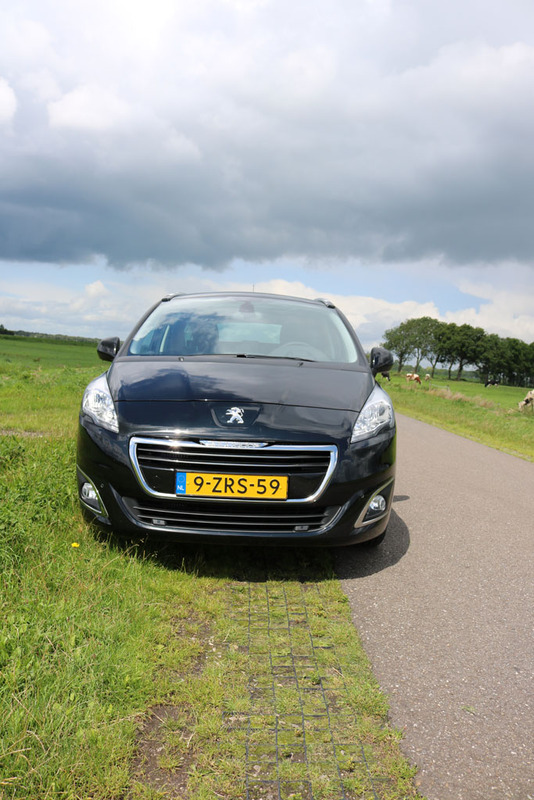 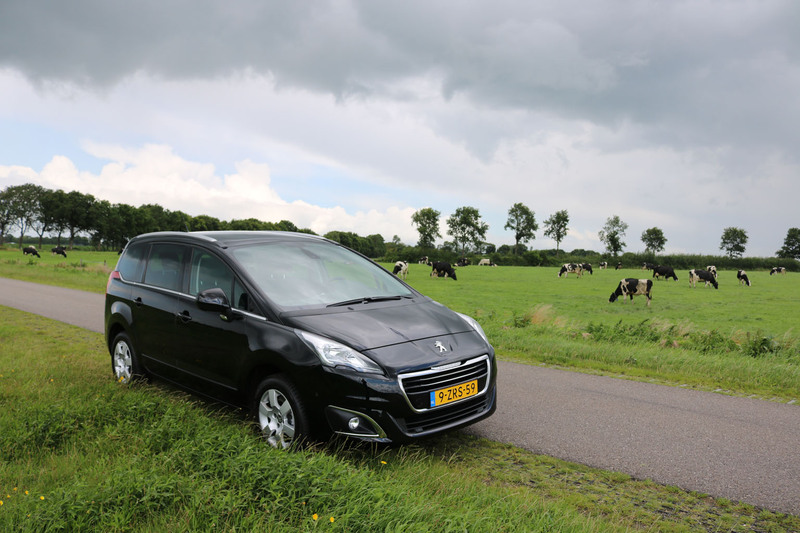 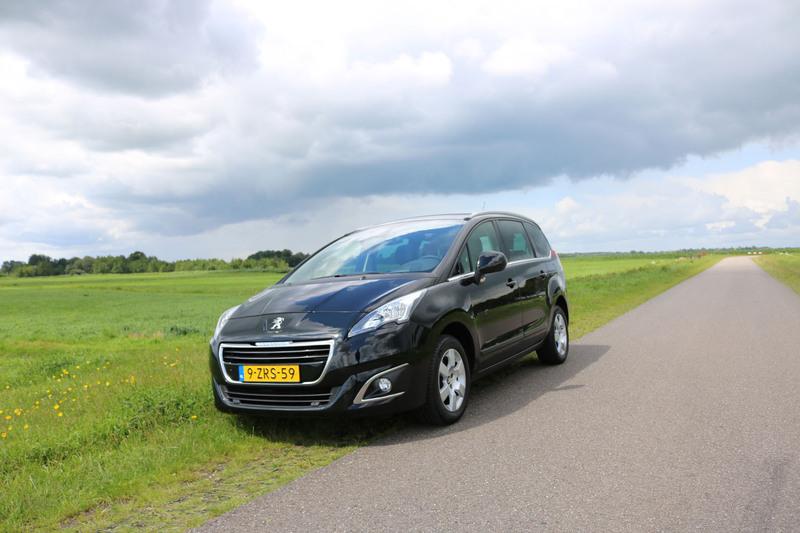 The third of 3 Peugeots we experienced throughout our European stay was this Peugeot 5008 BLEX-1.6 BHDi. 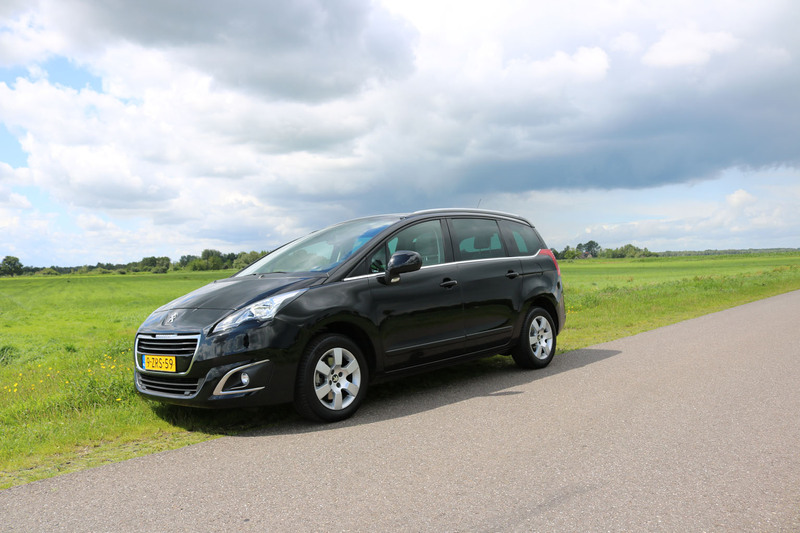 The 1.6 liter Diesel engine is quite well matched for this Peugeot MPV, and yet remains nice a nd frugal with fuel consumption, something to cherish given the European fuel prices compared to what we enjoy in the US. 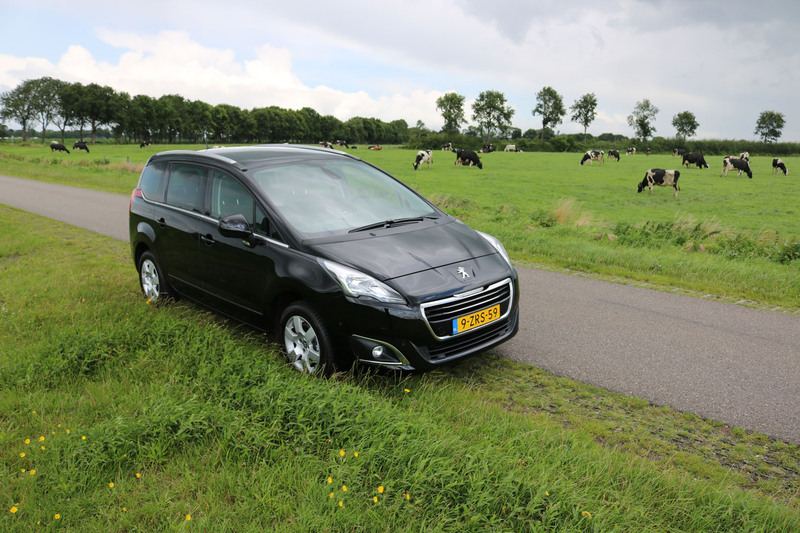 Compared to the MPV’s in the US, it is really nice to see what small a package Peugeot is managing to use to supply a big lot of space and comfort for it’s inhabitants. 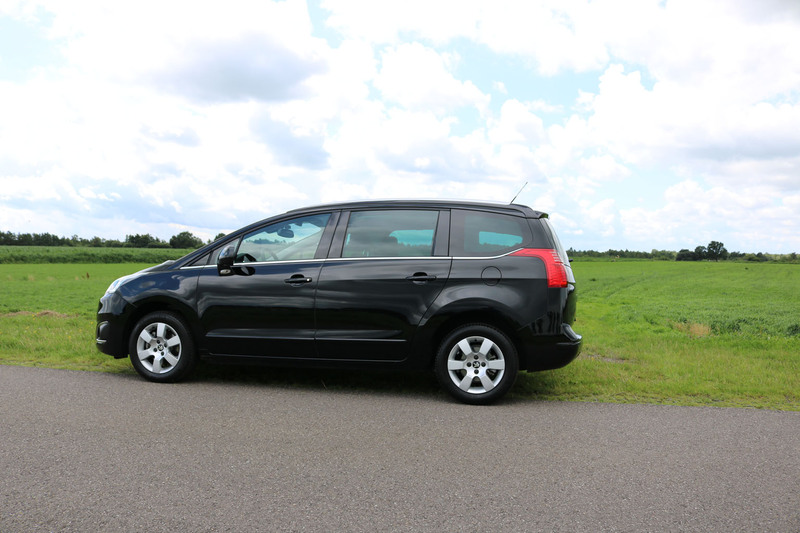 It really is a lot bigger inside than it appears on the outside, and even offers the extra row of 2 seats in the trunk area to allow 7 to be transported in comfort. 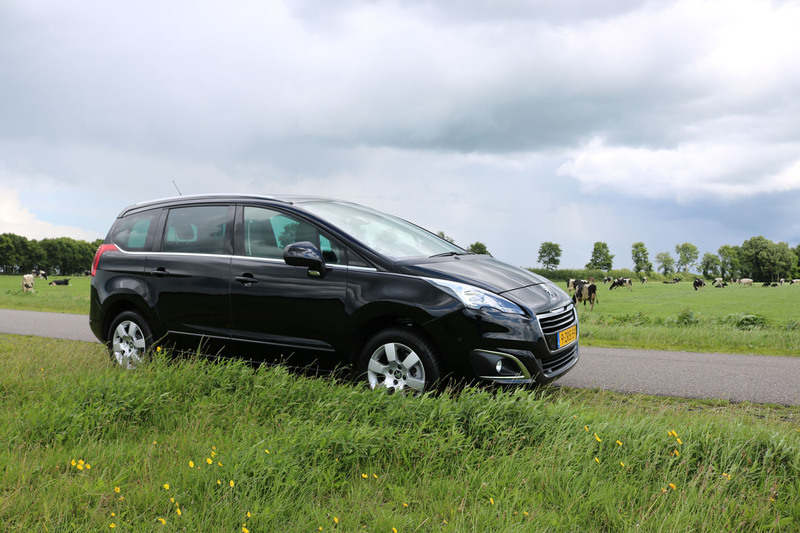 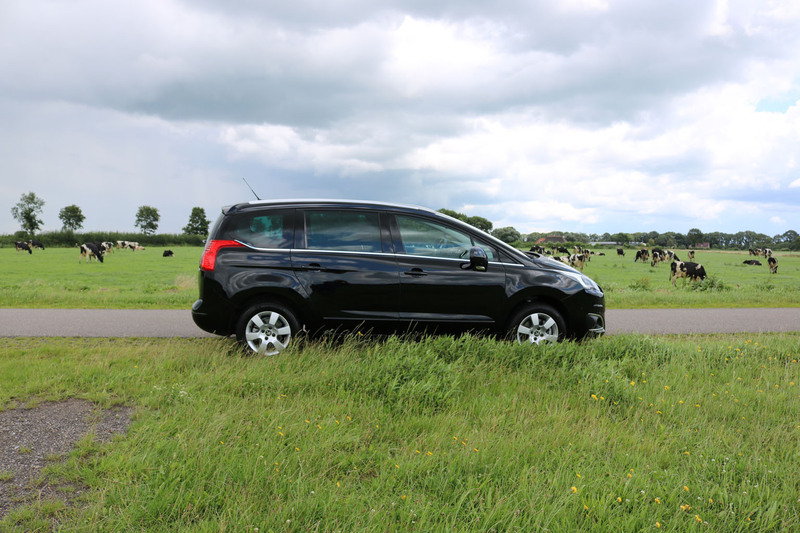 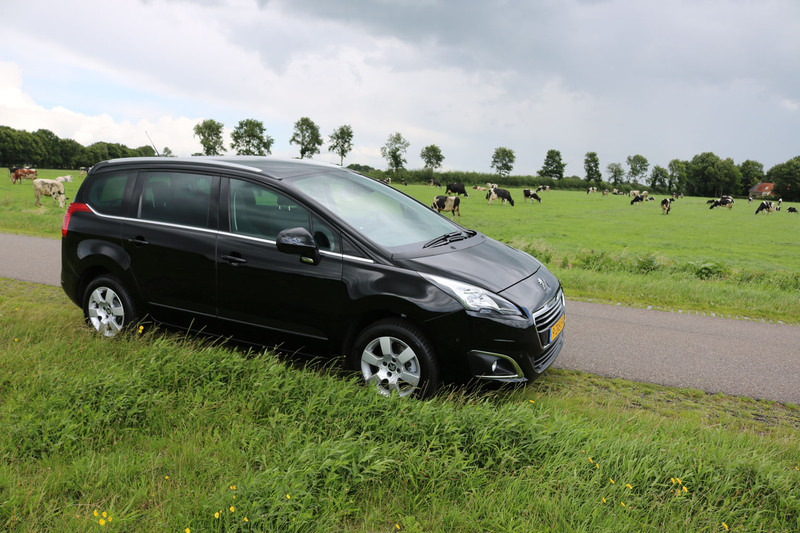 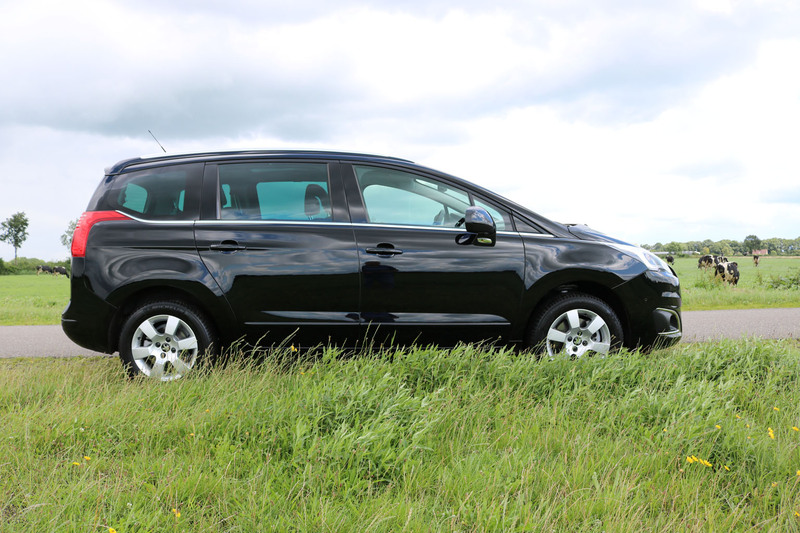 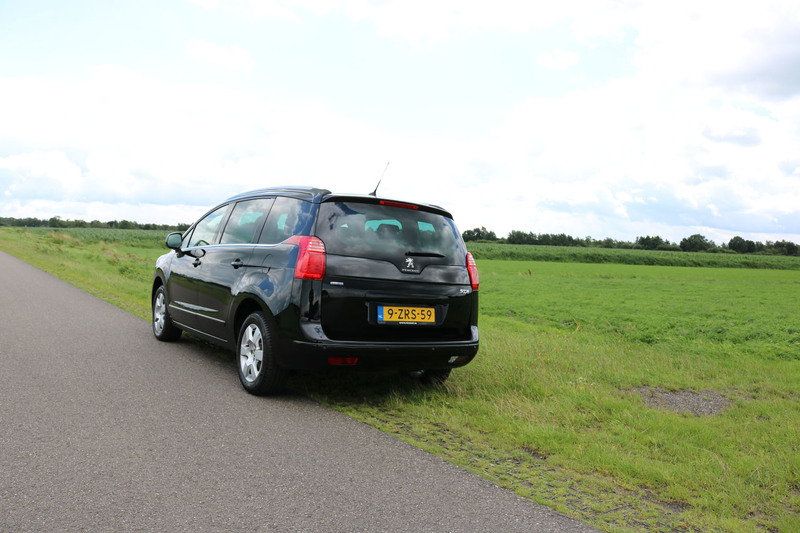 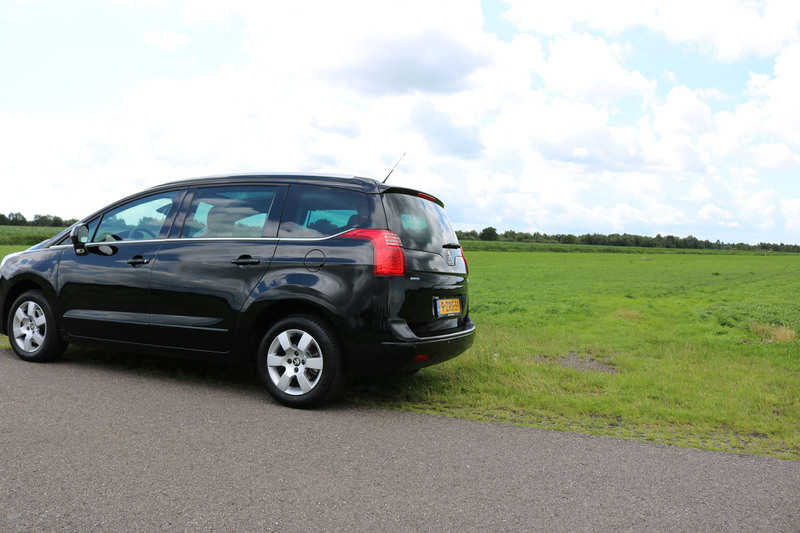 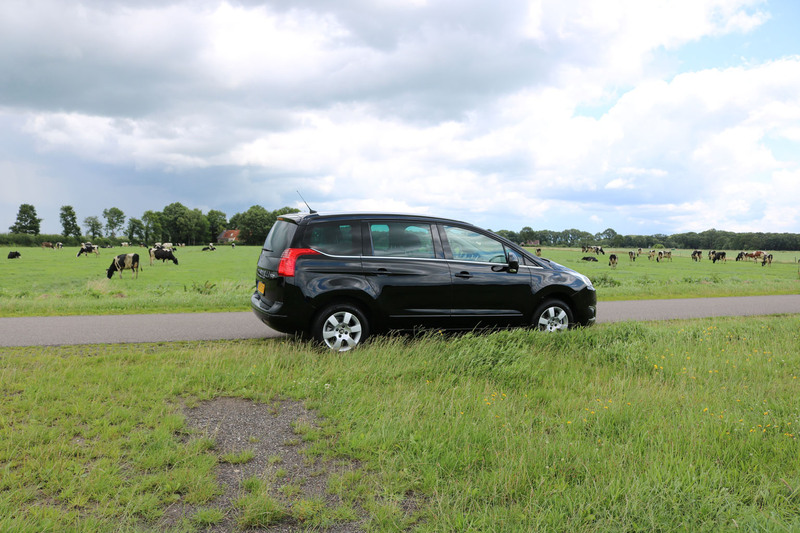 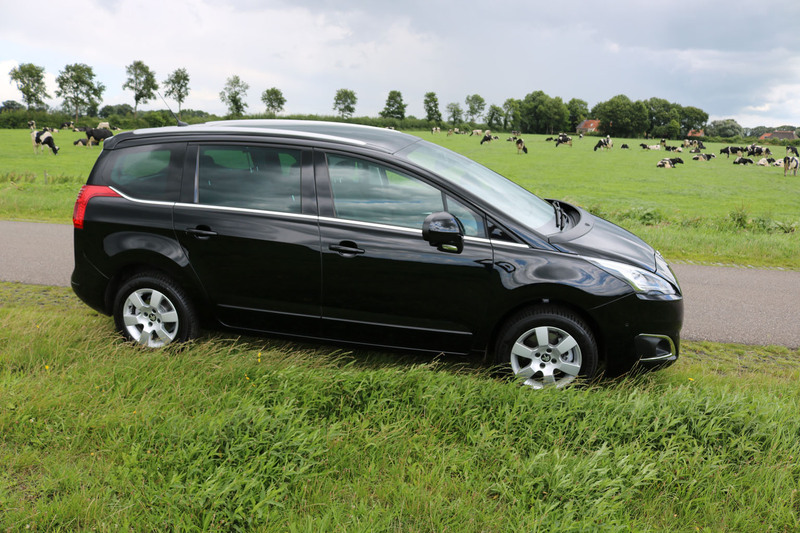 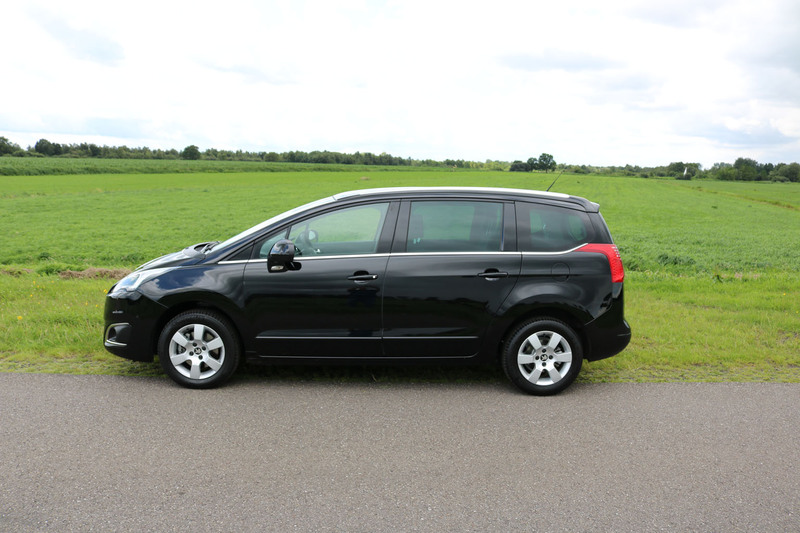 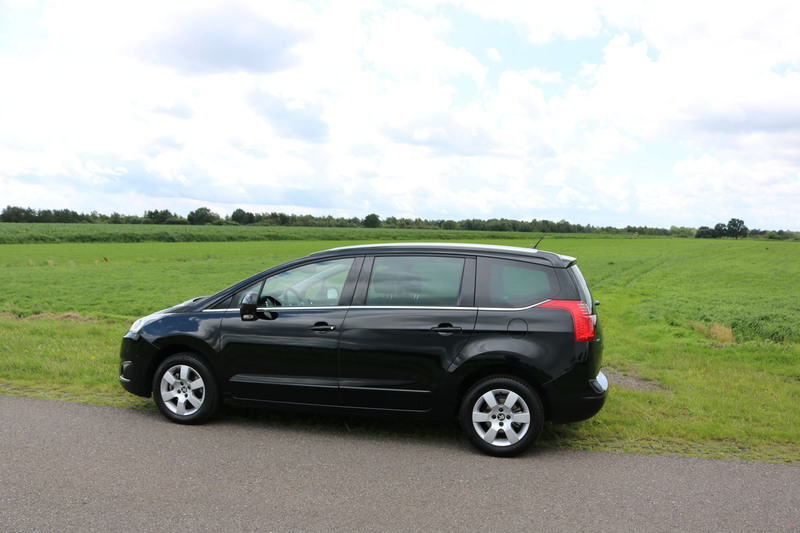 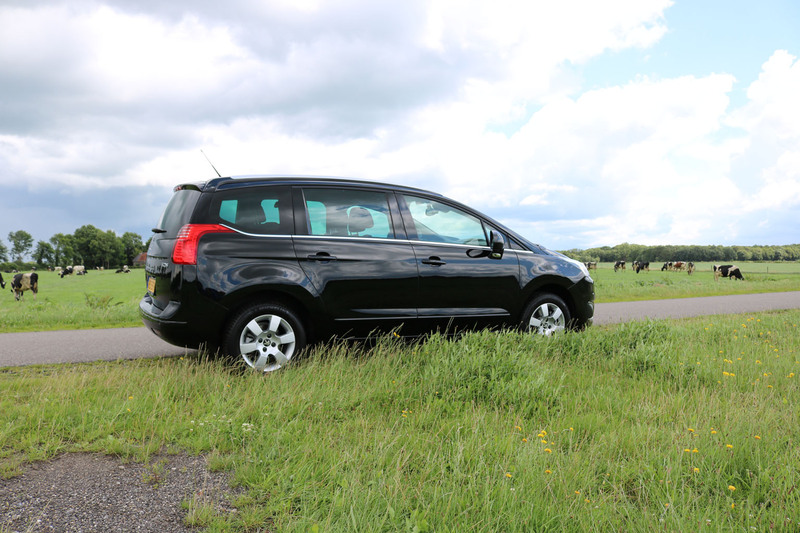 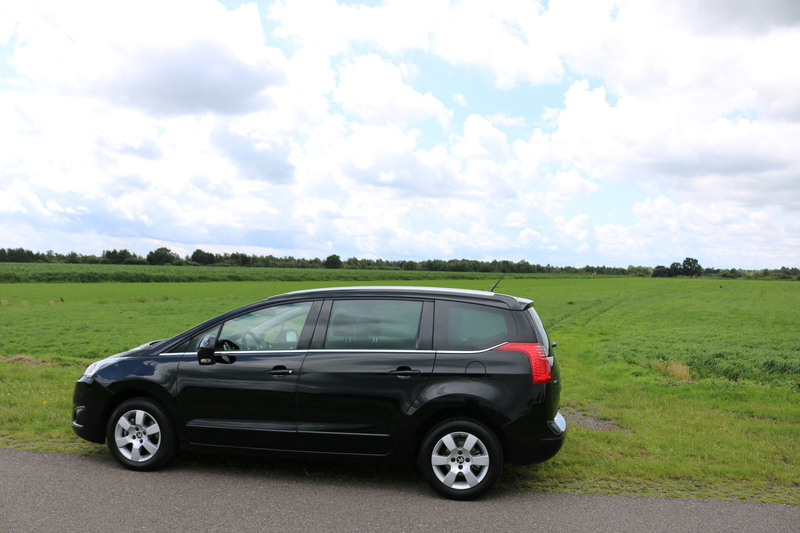 The size is very useful when driving around narrow European streets, and parking in tiny confined areas, in which any American MPV and especially SUV would not fit at all. 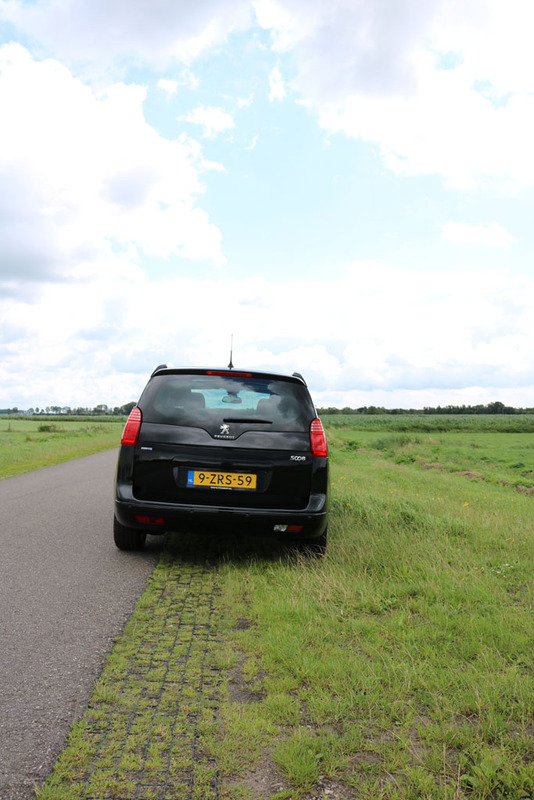 In fact, most US SUV’s are banned from a lot of city centers in Europe simply because they just don’t fit, and they tend to be gaz guzzlers and pollute in the process. 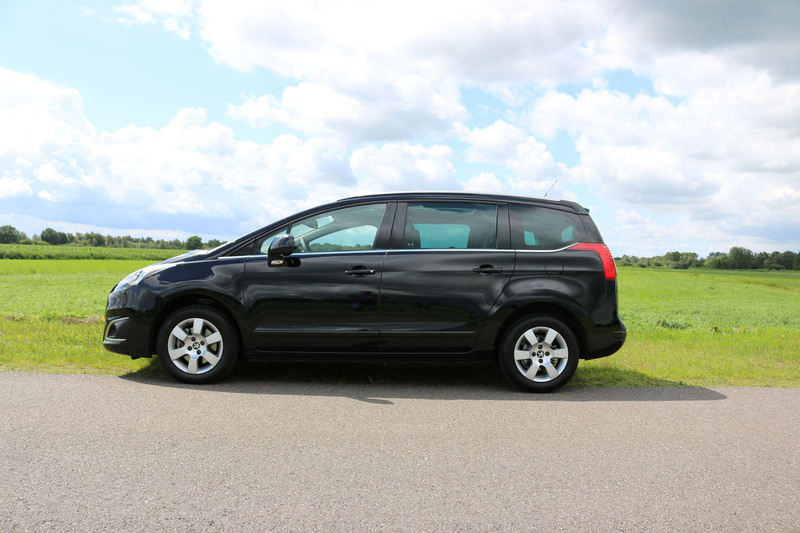 The version we drove was definetly not a top of the oine luxury version, simply because it was a last minute replacement at my request. 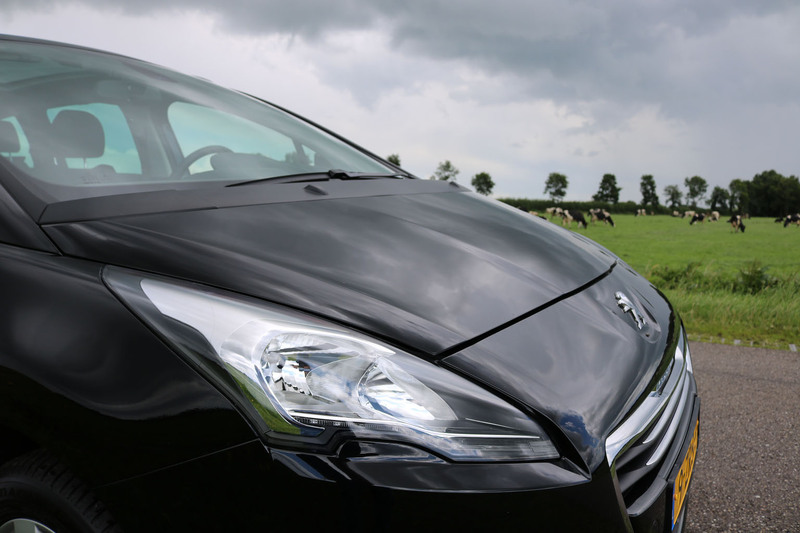 We had originally scheduled in a Peugeot RCZ in a very sporty version, but after cramping my not so lanky stature in a very confined Alfa 4C, I had enough trying to pretend to be a jockey figure. 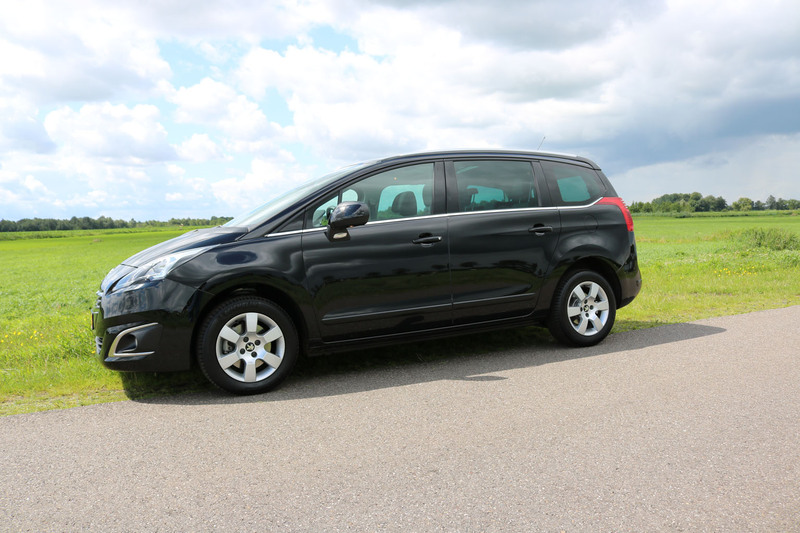 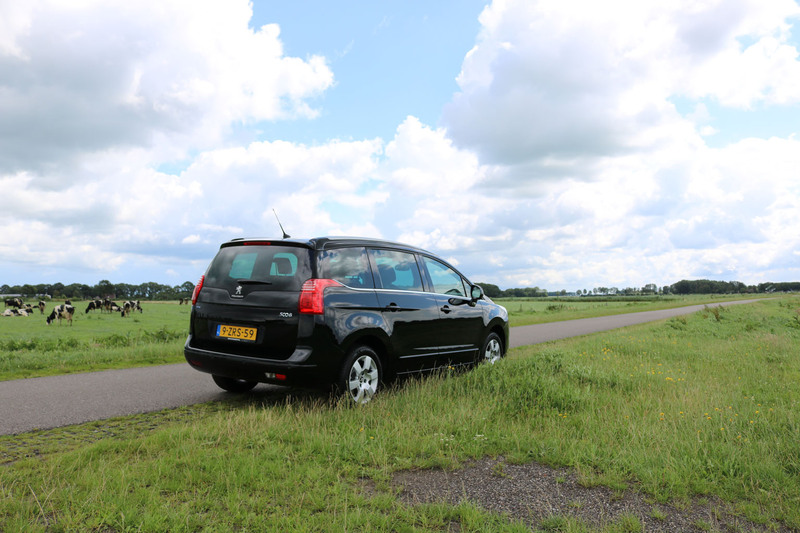 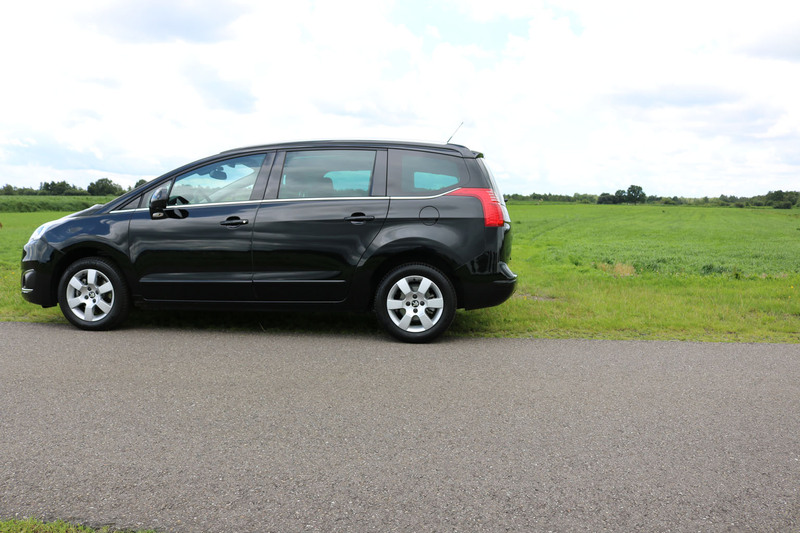 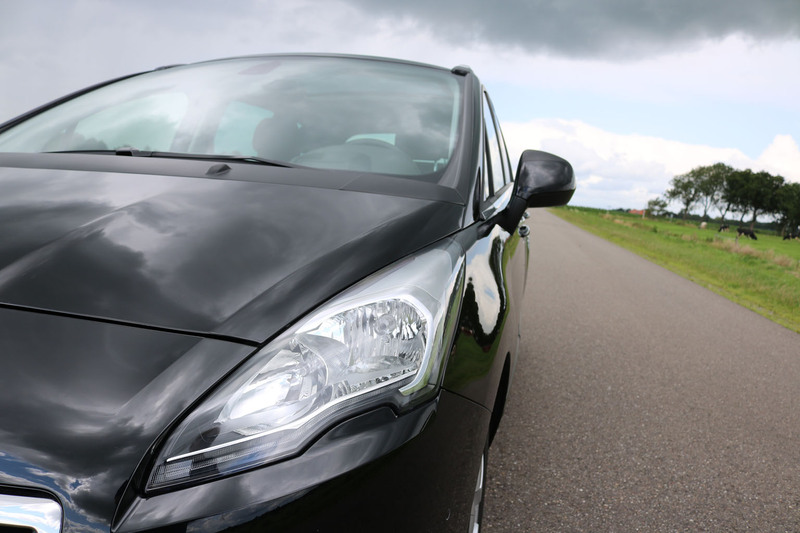 This Peugeot 5008 was a breath of fresh air space wise, no matter it’s luxury level. 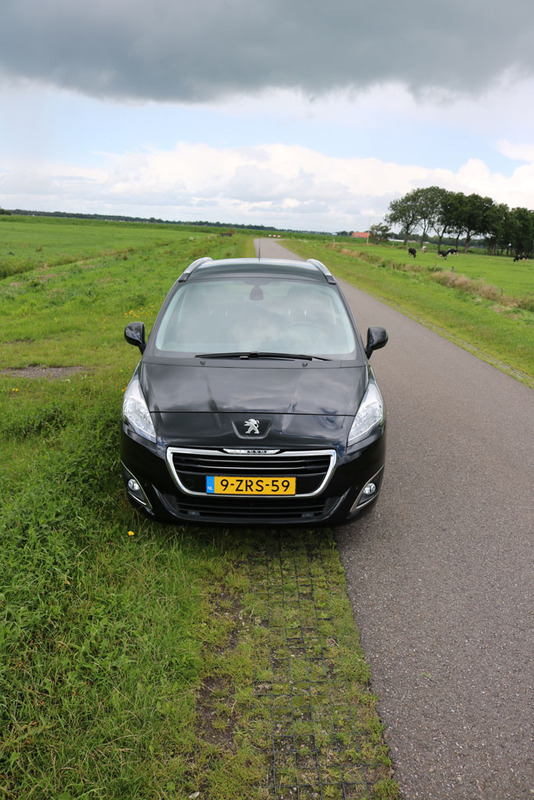 Having come to the end of the 3 Peugeot’s evaluation, I would like to comment briefly on the Peugeot Design language. 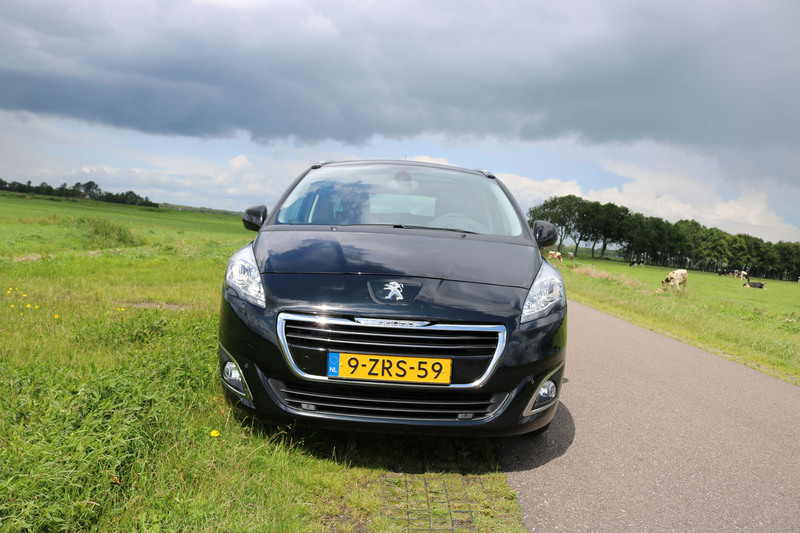 I have known Peugeot for all my life and have seen them evolve their design language each and every time. 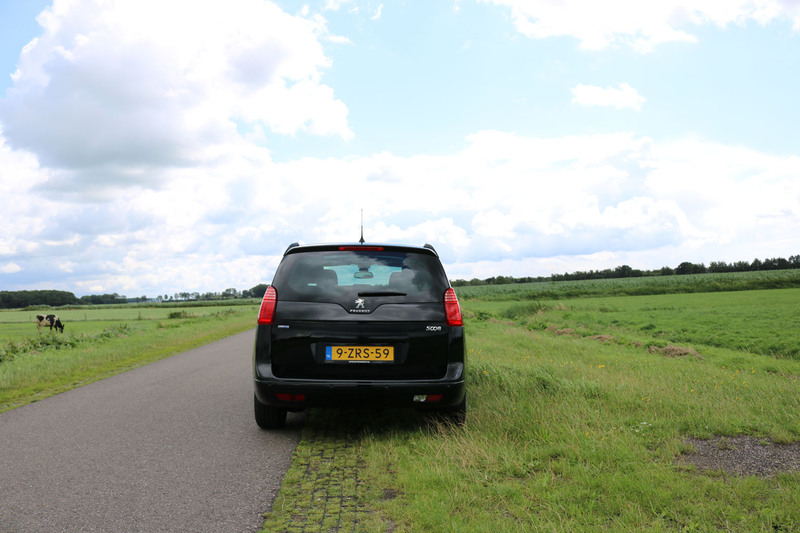 In my opinion the current one is by far not as strong as the previous one, and almost seems to be a ‘waiting mode’ for the next one. 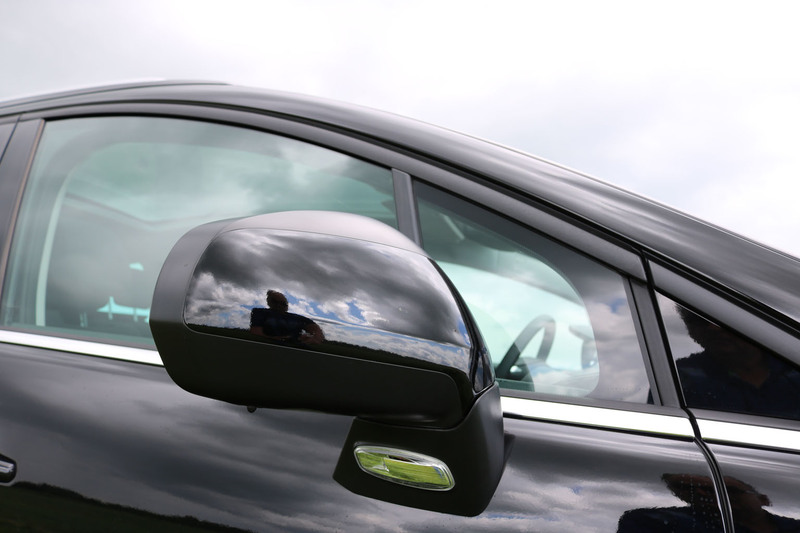 The previous design language was very outgoing and extrovert with its clear Grill design and the flamboyant design and size of its front lights. 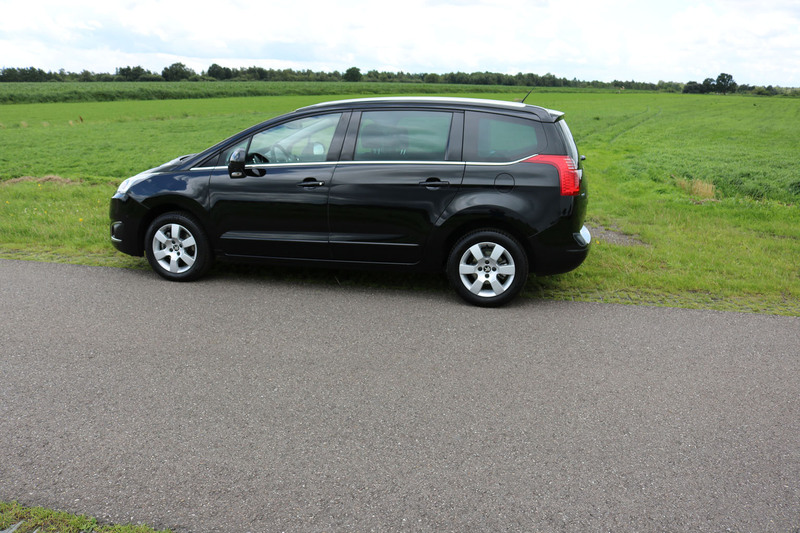 In this guise it is much more ‘mouse’, almost afraid to be seen, and to me, it should not be like that at all. 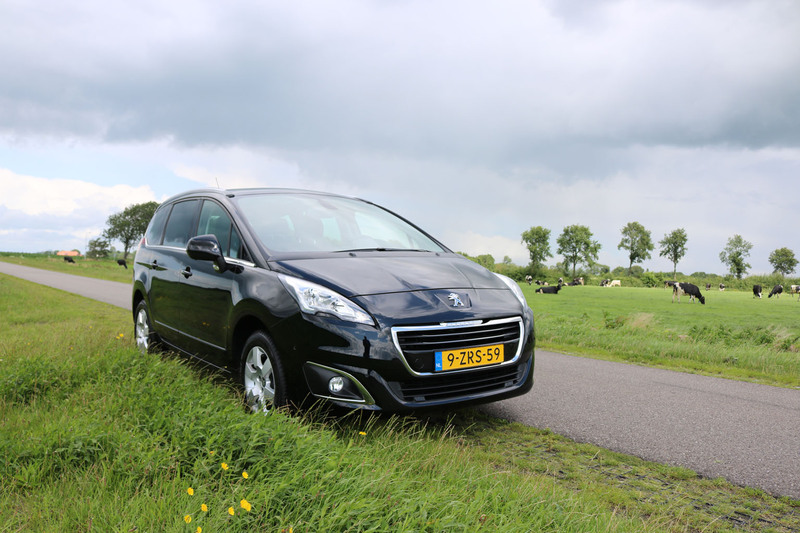 The current Peugeot products clearly have a very good level of quality both in ride as well as in fit and finish, and have every right to be more extrovert about its identity. 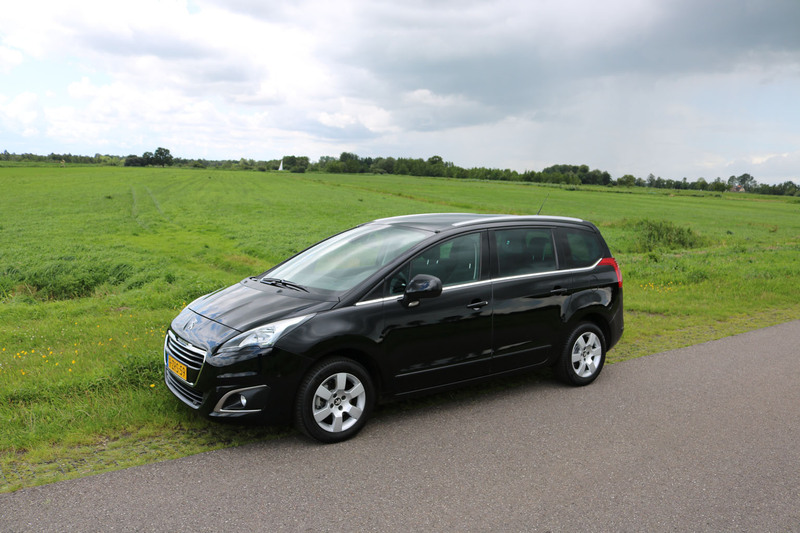 They are good cars, so why not show that off?